As the situation is relatively calm in northeast Syria, in the governorates of Hassakeh, Raqqa and Deir ez-Zor, people are starting to return home. Many are unaware of the risks still awaiting them – unexploded remnants of war, booby traps and landmines are still littering the region. 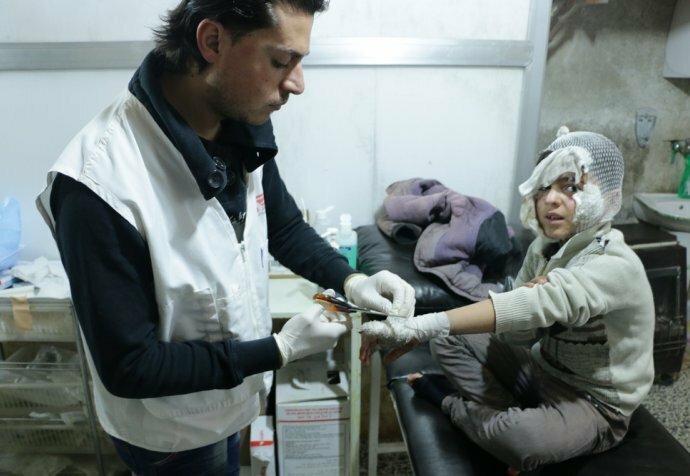 At the MSF hospital in Hassakeh, the number of people admitted to the MSF hospital with injuries related to explosions has doubled between November and March. Nearly 74% of them came to us from Deir ez-Zor governorate, sometimes from locations that are 6 hours aware. Half of those admitted were children.